This biography examines the life of Helen Keller using easy-to-read, compelling text. 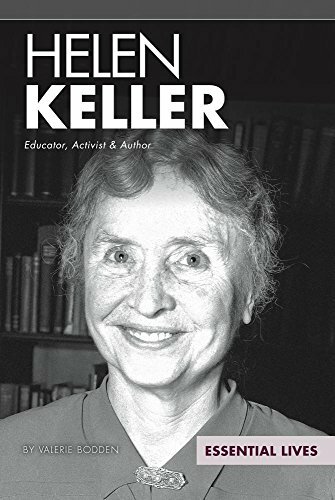 Through striking historical and contemporary images and photographs and informative sidebars, readers will learn about Keller's family background, childhood, education, and time as a world-renowned activist and speaker. Informative sidebars enhance and support the text. Features include a table of contents, timeline, facts page, glossary, bibliography, and an index. Aligned to Common Core Standards and correlated to state standards. Essential Library is an imprint of Abdo Publishing, a division of ABDO.